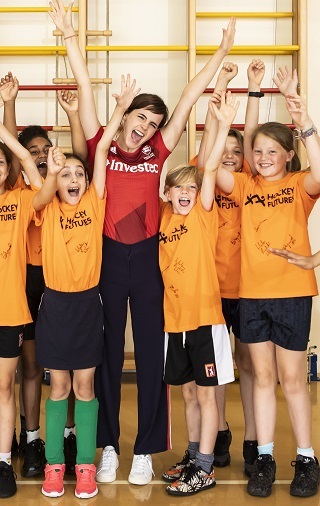 Emma said, “Hockey was a big part of my life growing up and I’m thrilled that England Hockey are committed to making the sport more accessible to children all over the country through the launch of Hockey Futures. “Hockey is the nation’s most gender equal sport and it was fantastic to visit a Hockey Futures session at Thorpe Hall Primary School and see children playing together, learning new skills – and teaching me some new hockey tricks too! 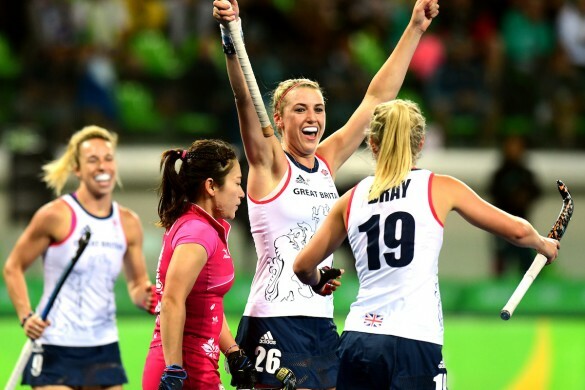 “This is such an exciting time for hockey in England, with London hosting the Vitality Hockey Women’s World Cup this month. “All the England games are already sold out, and I hope that the event will draw more young people to the sport. 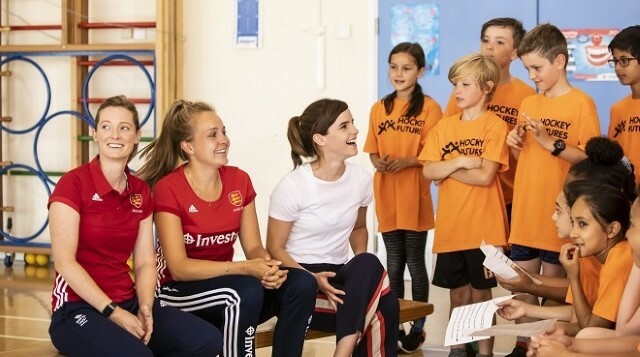 Helen, Emily and Emma also helped gift the school with 100 free tickets for a World Cup session, while Helen and Emily presented Emma with a signed shirt from the England women’s World Cup squad. 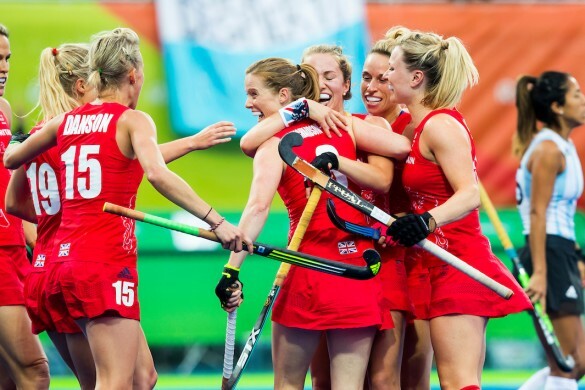 The world cup runs from July 21 to August 5 at Lee Valley Hockey and Tennis Centre on Queen Elizabeth Olympic Park, and this will form the start of Hockey Futures’ public campaign to raise £1m before the 2020 Olympics in Tokyo. The charity is looking for individual donations, as well as corporate partners and partner hockey clubs. Please see www.hockeyfutures.org or contact support@hockeyfutures.org. Individuals can donate at http://mydonate.bt.com/charities/hockeyfutures or by text, text FUTURES to 70970 to donate £5, or FUTURES to 70191 to donate £10. This event is staged as a partnership between hosts England Hockey, the International Hockey Federation (FIH), UK Sport, the Mayor of London’s office, London Legacy Development Corporation and Lee Valley Regional Park Authority. 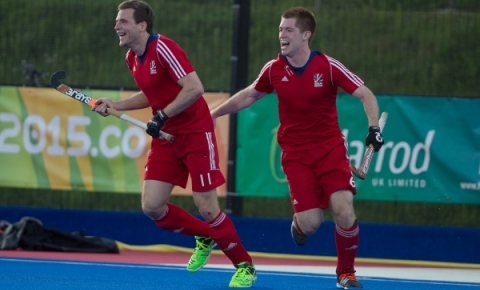 England Hockey is the national governing body for hockey in England. It is responsible for the governance and development of the sport in this country from grass roots and domestic level to preparing the Great Britain teams for the Olympic Games and other International events, on behalf of and with the support of the other home nations, Scotland and Wales.